combine a traditional aesthetic with modern comforts and amenities. 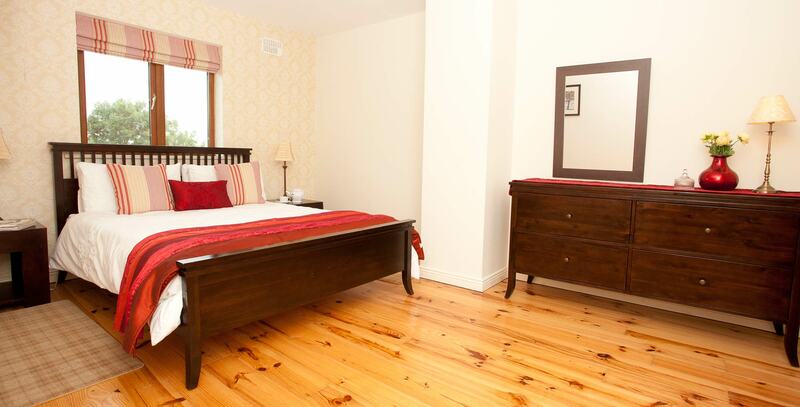 Tastefully designed, spacious modern bedrooms. Each house sleeping up to six people comfortably. with a play area for the kids to run wild! 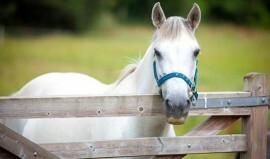 for all the horse lovers out there! the city of the tribes! Check out our excellent rates & special offers! 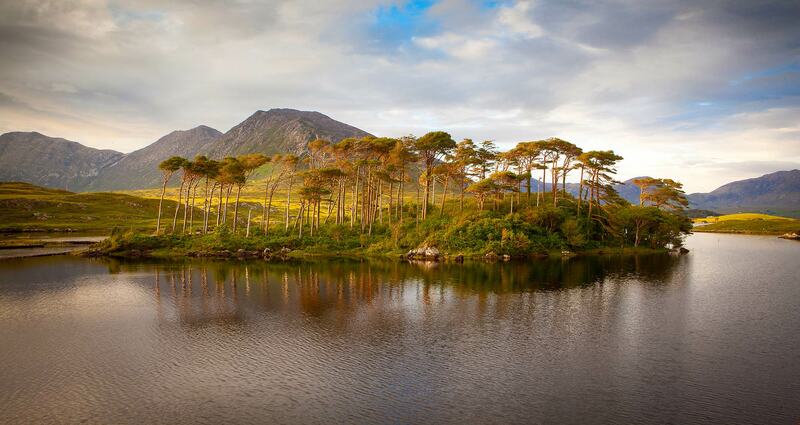 Welcome to O’Neill Holiday Homes, Self catering accommodation Galway! 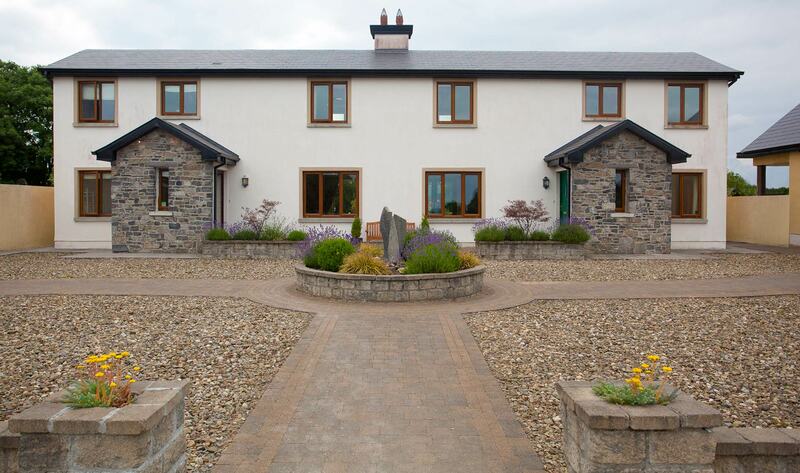 A warm welcome awaits you at O'Neill's Caher Cré, a Fáilte Ireland approved self-catering accommodation. Our tastefully finished semi-detached holiday houses combine a traditional aesthetic with modern comforts and amenities. The purpose-built accommodation, which includes a paved courtyard, inhabits a six-acre site which also includes our family home, so we can ensure a warm and hospitable welcome for all our guests. Our self-catering cottages are situated adjacent to a peaceful wooded area and a restored historical structure and grounds. A visit to this site provides a memorable window on local history. The surrounding landscape provides stunning views of the Burren Hills (to the West) and Slieve Aughty Mountains (to the East). 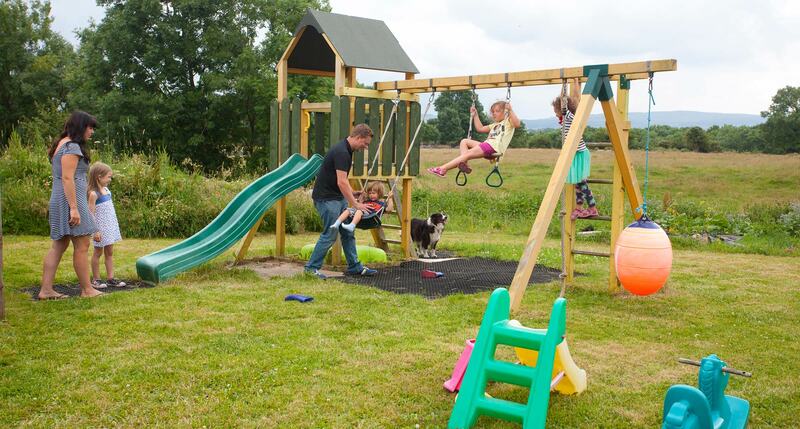 On site is a children's play area, with swings, slides and hen run & wildflower meadow. Plans are for a clay oven to be built for Pizza making in the garden for 2014. One of the key features of the location is that visitors will genuinely feel that nature is a short walk away. The historic village of Ardrahan is conveniently located on the N18 between Galway City and Airport (20 minutes drive) and Shannon Airport (40 minutes drive). The coastal town of Kinvara is only a 10 minute drive away, and is famous for its traditional music all year round and its excellent choice of restaurants and pubs. 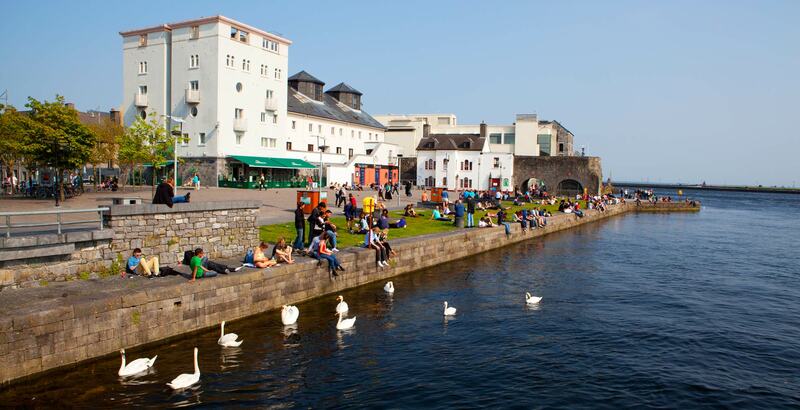 The town plays host to the annual Cuckoo Fleadh music festival, and the Crinniu na mBád, during which you will see the famous Galway sailboats 'Hookers' gather in the bay in one of the biggest festivals in the West of Ireland. 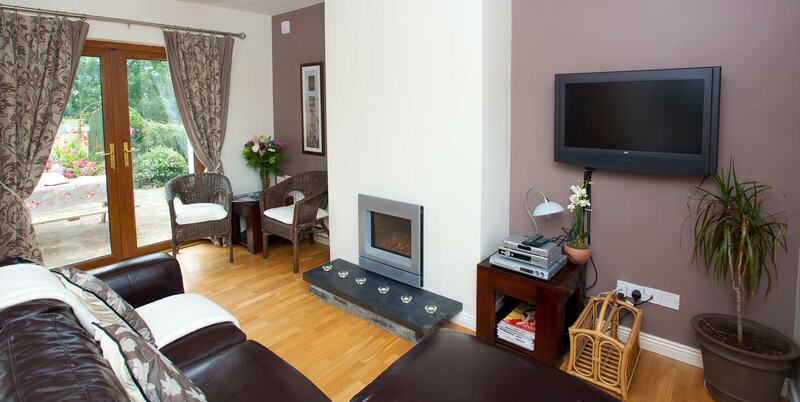 Our self-catering accomodation provides an ideal base for day trips to the Aillwee Caves (30 kilometers), Bunratty Folk Park(30 Kilometers), Thor Ballylee ( 5 Kilometers), the Cliffs of Moher (40 Kilometers), Connemara, Galway City (18 Kilometers), and Ennis( 18 Kilometers). All of whom are committed to conservation and appreciation of the local environment. We provide information through books, maps and pamphlets to our guests to encourage awareness of the unique landscape that surrounds us. We invite our guests to join with us in activities/workshops on-site which involve art, music, and food on special occasions. 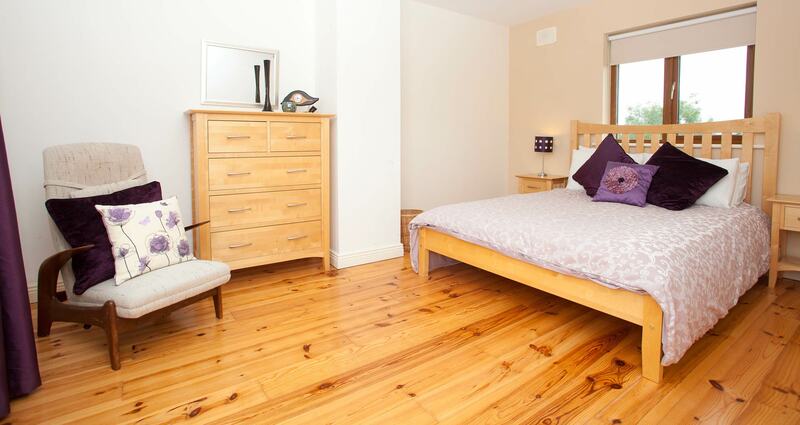 Each bedroom is tastefully decorated and has comfortable beds. There is a double upstairs and downstairs in each holiday home. The twin room is located upstairs. The quiet surroundings help to ensure a good nights sleep. There is a bathroom upstairs and downstairs. 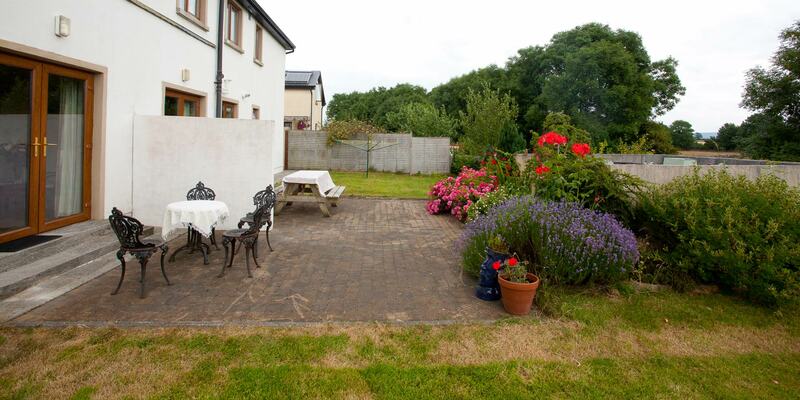 Each holiday home has its own private outdoor patio and garden area. The location is quiet with stunning views of the surrounding county side from both the front and back aspect. - Coole Park Nature Reserve with its woodland trails is close by for a relaxing run or walk. - A visit to nearby Woodville walled garden is a must for garden lovers. 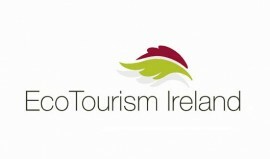 - The Burren Nature Reserve has easy way marked trials for families and more difficult trails for adventurous walkers. - The Lady Gregory Yeats Trail can be done over one or two days to explore the literary history of the region. Here are some recent reviews from many of our satisfied customers who stayed at O'Neills holiday Homes, we look forward to your positive comments too! O’ Neill holiday homes are the perfect place to relax and unwind. On arrival we immediately felt at home, we received a warm welcome from assumpta and family. 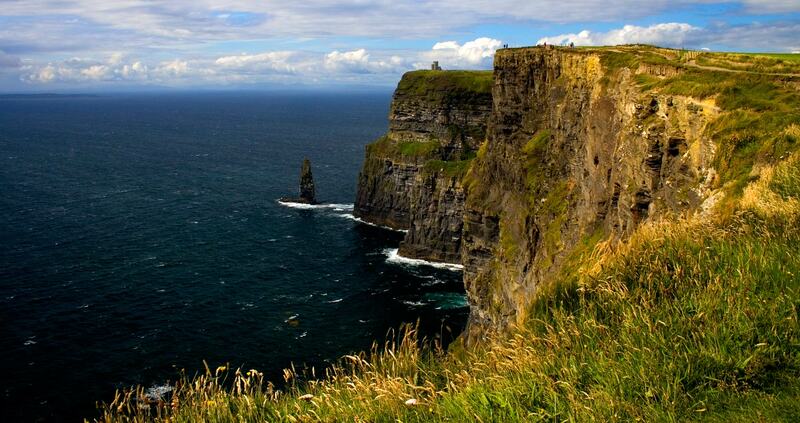 We were awestruck by its magnificent beauty and idyllic location. The accomodation is stunning and beautifully furnished though out. Our children have never experienced so much freedom. Although we are desperatley sad to leave, we leave with the knowledge that we are booked for next year. 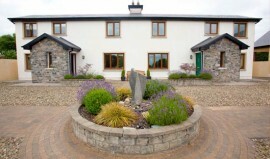 We enjoyed this property very much and were pleasantly surprise to received such a warm welcome from the O’Neill’s. They are extremely nice with with a wealth of information about the area. 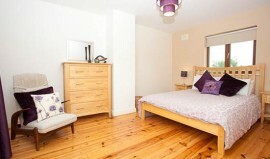 The property is in excellent condition with plenty of room and is exceptionally quiet. Public transportation (bus or train) is close by and easy to access. We did rent a car, but decided to utilize the bus system into Galway because it comes so frequently and we didn’t have to hassle with parking or traffic. We can’t wait to return! The location is beautiful the house great and the little ones loved the toys and animals. But best of all was the warmth and friendliness of our hosts. Thank you so much for making our family holiday one to remember! Thanks for the great holiday home. 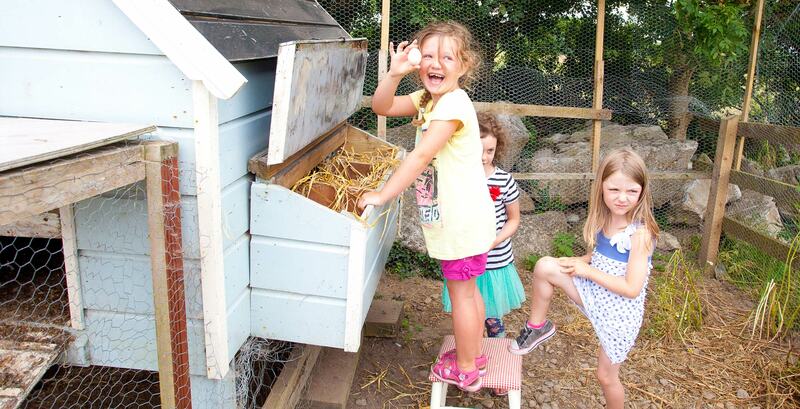 We have had a super time the kids loved the animals. You are lovely welcoming people we will be back. A great house in a great part of the country! A wonderul welcome, it was a home away from home.